I didn't realise at first that this book was actually the 8th in the Dr Siri Palboun series and the fact is you can't really tell from reading it - the book works just as well as a stand alone book. Set in Laos in Asia not long after the Vietnam war has ended, this story focusses on the story of a missing young American helicopter pilot who crashed ten years previously into a Lao village. Dr Siri Palboun is an unlikely candidate for a main character, he is nearing his eighties, yet it is often his age that brings the story together; encouraging others to confide in him and tell him whatever he may need to know. Siri is summoned to a meeting where he is told he will have to join up with various other high-profile Lao citizens to work with a team of US military and political figures in a bid to find out just what happened to Boyd Bowry - long missing son of the now Senator Bowry. Siri is blunt yet kind in this response; after an incident a few months before, he is unwilling to join the mission unless he can choose his own team to work with. 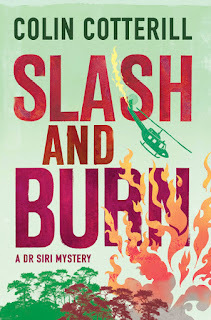 Most people would be shown the door but Siri, being the only coroner in the whole of Laos, is soon granted his wish and a multi-national trip begins in a bid to settle this mystery for once. This book was definitely one I was looking forward to reading and I was a little surprised to find that the leading character was a elderly man just months off retiring. As the reader, you encounter many twists and turns (and occasional red herrings) as you try to get to the bottom of this baffling mystery; surely a man cant just disappear? The interaction between certain members of the team is amusing and light hearted in parts which makes a nice break from the dark goings on which haunt this story. It is refreshing to see American politics told from the other side; finding out just what happens behind closed doors. It is hard to imagine that a mystery novel can be based around such subjects as cross dressing, the supernatural and an elderly mans conspiracy theories, but these are all crucial to the story. The ending was well timed and well developed; it was unexpected and leaves you chomping at the bit for more. I hope to read more of the Dr Siri Palboun novels as the characters and location are different from the norm and provide a much needed break from the crime-ridden streets of England and America. This is definitely worth a read; take a chance on the unexpected like I did, you'll be pleasantly surprised. 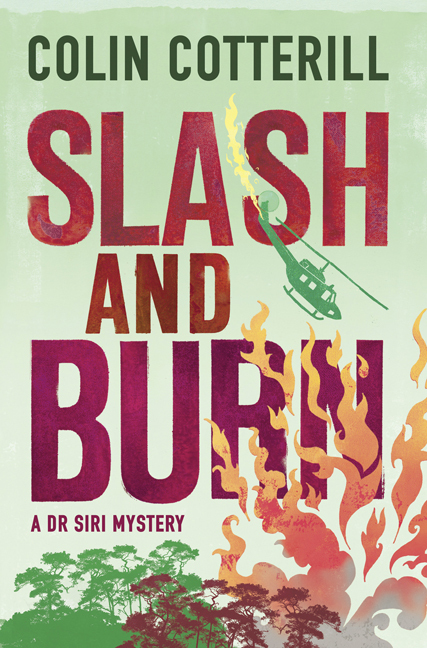 Slash and Burn is published by Quercus and is now available in paperback and ebook formats. Thanks go to the publisher for providing a copy for review and to Bex for reading and reviewing for me! This sounds really interesting and a bit different. Will have to check him out. It's so nice to discover a new series that already has lots of books waiting for you to read! Or not so good, depending on how full your TBR is already...This is one author that has so far passed under my radar so I will definitely keep an eye out for one of these. What to do with a negative review?